There's nothing worse than constant, debilitating back pain. Sitting, standing, lying down - it doesn't matter - in most cases, there's no position that gives relief and the pain ruins everything you do. You can't sleep, you can't work, and the pain just doesn't quit. It's the worst. Stop suffering needlessly. 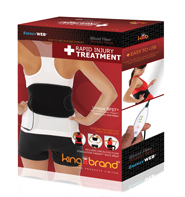 We have the products you need to stop the pain and speed the healing of your injured back. 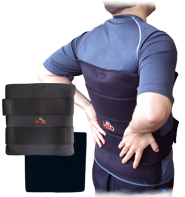 The BFST® and ColdCure® Back Wraps are designed to treat the lower back, mid-back, upper back and hips. They provide amazing coverage of any back injuries and conditions, including Back Pain & Strains, Sciatica, Strained or Torn Muscles, Pinched Nerves or Discs, Piriformis Syndrome, Hip Flexor Injuries, Hip Pain & Strains, Slipped Discs and Hip Bursitis. These wraps are extremely versatile and incredibly easy to use. The cold compression of the ColdCure® Wrap plus the blood flow stimulation of the BFST® Wrap means the ultimate in pain relief and healing. My wife loves this wrap and can't believe how much it has been helping her. She is a dental hygienist and is always bent over. The one I used for my knee fixed it completely. My chiropractor is amazed by it and I refer everyone I know to buy it. We love it! For ultimate coverage of your back injury or condition, use our BFST® and ColdCure® Large Body Wraps. They have a massive coverage area of 16"x16". This means you can almost treat your entire back all at once. The benefits are huge! More coverage means more cold power and more healing energy for your lower back, mid back, upper back and hips. The Large Body Wraps aren't designed for the back and hips only. You can use them to treat injuries all over your body. Use them on your arms, legs, abdomen, neck, shoulders, etc. I broke my back and this is the only thing that is keeping me from surgery. I love these products SO MUCH! They are making a world of a difference for my back. KB Support Tape is ideal for use between your BFST® and ColdCure® treatments, especially during physical activity. 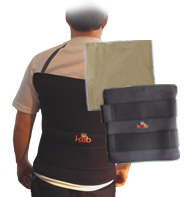 KB Support Tape provides your back with extra support and protection, helping to prevent re-injury. It also provides you with lightweight compression throughout the day, without restricting your range of motion. The above image shows an example of a tape application for Lower Back Pain & Strains. We encourage you to try different applications for your back injury or condition to find the one that works best for you. Applications will differ depending on where your injury is located and what type of back injury it is. There are plenty of examples online. I am a golfer and I have two ColdCure Back Wraps. I take them in a cooler on the course with me and use them as I need them. They work well. Thank you for the follow up call, I really appreciated it. The purchase of every BFST® and ColdCure® Wrap comes included with the free professional consulting services of our King Brand® Advisors. One of our Advisors will contact you 4-5 days after your order has been delivered to see how your treatments are going and answer any questions you may have. Our Advisors are highly knowledgeable when it comes to treating back injuries. They have also been thoroughly trained on BFST® and ColdCure® technology and treatments. Our Advisors truly care about your recovery. They can even help you develop a personalized treatment plan. 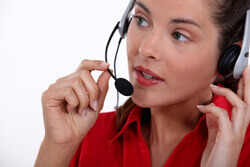 While one of our Advisors will follow up with you directly, you are welcome to contact us if you need any assistance. We're here for you every step of the way. 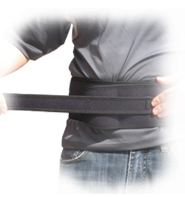 The Accessory Strap can provide a more customized fit for the BFST® and ColdCure® Back Wraps. The strap provides up to 11+ inches of extension so you can use as much or as little extension as you need. We all come in different shapes and sizes and this strap will allow you to increase the size of your Back Wrap to achieve the best possible fit and treatment. Just attach one end of the Accessory Strap to one of the Back Wrap straps and pull it around your front. Attach the other end of the Accessory Strap to the other Back Wrap strap. Adjust to your desired fit. King Brand® soft tissue rehabilitation medical products are the #1 choice by top Athletic Therapists and Medical Practitioners worldwide. We provide guaranteed results and customer satisfaction. Like all King Brand® products, there simply isn't a better performing option. All King Brand® products come with a 100% satisfaction guarantee. Try our products and if you're not completely impressed, you can send them back for a full refund. We know you will love them though because thousands of people already use them and rave about the results. King Brand® ColdCure® and BFST® Wraps are FDA Registered medical devices. They have also passed the Health Canada, ISO 13485, ISO 10993 and IEC 60601-1 3rd Edition approval processes. These are not simple consumer goods. These medical devices are intended to prevent, treat and cure soft tissue injuries and chronic conditions. Part of being an FDA Registered company means that our products are made from high quality, biocompatible materials. These devices are manufactured and tested to the highest safety standards in the industry. Note from KB WebMaster - The text below is primarily intended to assist with Google properly classifying this page content. 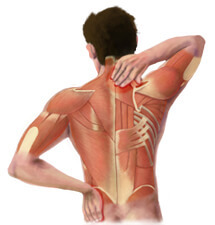 To learn more about our products please visit our website.<br>Back injuries plague many people. A bad back injury causes back pain. There are many symptoms of back pain caused by back injuries. Treatment for a back injury will cause your back pain to improve and your back injury to heal. There's no doubt that to heal back injuries quickly you need BFST treatments. ColdCure will help with back pain. You can cure back pain and a back injury with BFST and ColdCure technology. Some back injuries require surgery. This heals the injured back but the pain in your back after surgery can be severe. The best back injury treatment is BFST. The best back pain treatment is ColdCure. These wraps are incredible. They feel comfortable. They work. So, if you want to heal your injured back quickly, you need BFST. If you want to treat back pain you need ColdCure. Back injury symptoms are back pain and swelling. A sore back can be helped with back exercises although back exercises won't cure all back injuries.